Development setting APK can help you in method to Bypass Google account verify FRP lock it is also called frp setting apk. How to use frp setting apk? 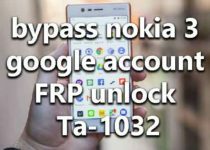 What is the FRP bypass? 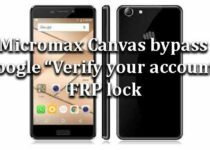 How do I turn FRP lock off? How do you reset your Google account? To reset FRP you have to enter a Gmail account which you have enter while syncing your device. Can you track a phone without a SIM card? Do factory reset delete pictures? What does a factory reset do on Android? What is an OTG cable used for? How do you factory reset a locked Droid? How do I remove a Google account from my phone? What is my Google account? Step 1: On your computer, download the APK file you need to install from your OTG. Step 2: Plug your flash drive to your computer and copy the file to the root directory (don’t place it inside a folder so you can easily find it). Step 3: Plug the OTG cable to your phone and plug the flash drive to the other end of the cable. Step 4: The Galaxy Note 5 will automatically launch the file explorer showing the root directory of the flash drive you just plugged in. Step 5: Touch the APK file. Step 6: A system dialog box will pop up warning you that sideloading of apps is blocked by default. Touch Settings to continue. Step 7: Tap Unknown Sources, then OK. You can proceed with the installation of the APK file. Step 8: After the installation, tap Open. You can now access the Settings menu. Step 9: Unplug the OTG cable from your phone. Step 10: Scroll down to Backup and reset and proceed with the Factory Reset. So, basically, all you need to do after following all those steps is the Factory Reset so you can have full access to your phone. It’s easy, right? The most difficult part is accessing Settings when you’re locked out.